1-It is a historical realistic geopolitical fact; that Egypt is in the forefront of all others around her, in the Middle East, North Africa, Sudan and the Red sea region. If she rises, all around her rises with her, if she descends, everyone else descends with her, thereby allowing those who are not fit for leadership to mount her back, hence spreading corruption and mayhem. Mohammad Ali’s Egypt led liberation from (Europe’s Sick Man), the Ottoman old Empire , thereby paving the way for other freedom movements, and established reform guided by Europe’s reforms. Then Wahhabism germinated with its backwardness in the Arabian Peninsula, prompting Egypt to annihilate its first Saudi state, that is why Abdul Aziz Al Saud, the founder of the current state infiltrated the Egyptian society with his Wahhabi mission under the guise of Sunnah and Islam, leading up to the Wahhabi Muslim Brotherhood organization, which aborted the enlightenment and religious theological reasoning trend established by Imam Mohammad Abduh. Local, regional, international (and petroleum) circumstances collaborated for Wahhabism to dominate Egypt, thus becoming subordinate to the Saudi family, and with their influence, they tried and are still trying to suppress and annihilate the Quranic trend which builds up and adds to Imam Mohammad Abduh’s thought confronting Wahhabism, its terrorism, extremism, strictness, backwardness and corruption from within Islam. This grass roots revolution, never outmatched or outnumbered in its capacity, at both the Egyptian and the international levels, means the beginning of the countdown for the Brotherhood and their Wahhabi religion. With the help of Egypt, this Wahhabi religion reached its zenith, and now, with Egypt again, it begins the era of defeat and collapse. What is taking place in Egypt now will have its repercussions soon in the south in Sudan and Somalia; eastward in Jordan, Lebanon, Syria and Iraq, and it will definitely reach eventually the Gulf and the Arabian Peninsula. The thrones of Wahhabi perversity and oppression will fall down, those that lasted for so long as a parasite depending on the absence of the Egyptian role and its subservient subordination to those lowly Wahhabi sheikhdoms in the Gulf and the Arabian Peninsula. 3-Egypt with its unique location on the middle of the world, bordering the Mediterranean, the Red Sea, between Africa and Asia, in the heart of the Arab and Islamic world, and by returning to its natural leading role, things will be set back to their right position, and those bizarre sickly symptoms, will disappear, like the Saudi family sway over most of the Arabian Peninsula, and like the theft of the oil wealth that belong to future generations, and like the injustice inflicted on people, and more importantly the injustice perpetrated against God Almighty by claiming Islam’s representation and the custody of the sacred mosque and the ritual of Hajj. This falsehood and this inequity shall disappear with the retraction of the Saudi Wahhabi religion, and Egypt that toppled the first Saudi state in 1818 after a ferocious desert war that lasted few years, will succeed in toppling the current third Saudi state in less years and without war or blood, only through religious reform and enlightenment, with Egypt being its source. With modern communication means, and with Egyptian minds, religious enlightening campaigns will spread like wild fire, engaging, discussing and debating Wahhabism, hitting it in vital vulnerable spots, erasing its dishonest association with Islam, even unmask and expose Salafiyya and the crimes of its rulers, returning them to history’s dump. 4-What is expected of Egypt at this junction of its revolution, is to affirm freedom of religion, of thought, of opinion and freedom of creativeness, to erase and eliminate all laws that restrict these religious and intellectual freedoms. Through these methods, Egypt will return to its pioneering position in religion, thought, culture, creativity, arts and media. Egypt true genuine wealth lies in its Egyptian human being, Egypt is not the gift of the Nile, The Nile runs through many regions and countries, yet none of which established a civilization matching that of Egypt, though it has by far more than Egypt’s share of the Nile water resources. Egypt is the gift of the Egyptian man who created in the Egyptian desert, the oldest civilization before the invention of the written form that we are familiar with, he established the oldest state, an old state that is deeply rooted and still presnt from the time old King Meena Narmer until now. 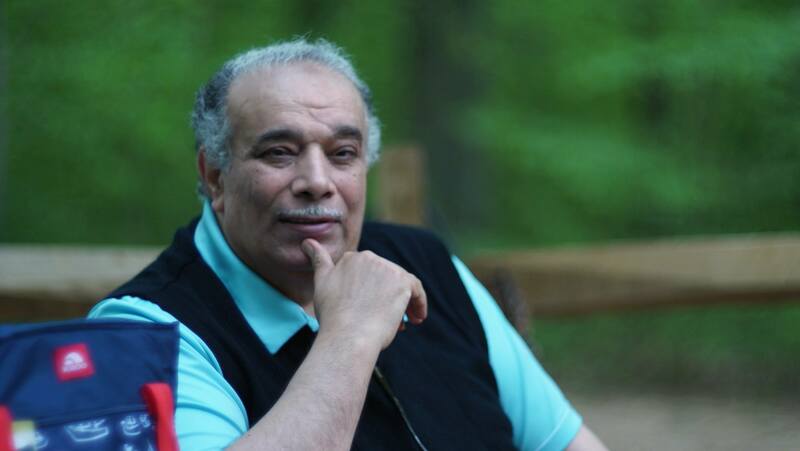 This Egyptian man is the real treasure, the genuine wealth of Egypt, its rise, its (pioneer- ship).This Egyptian man, when things get tight in Egypt, and seeks other opportunities in a free society, in the West or in America, he excels and radiates. All is needed for Egypt to get up from its stumble and regain its premiership, is a legislative, constitutional and legal reform, a reform that will eradicate all obstacles of thought, creativity and diligence, and will ease the intense interference of bureaucracy and of the state in the life of the individual, his movement and his economical and productive strive. It is not important who is going to assume the responsibility, more important is the implementation of legislative reform immediately and as soon as possible, in order for us to amend clean up a ruin, a destruction and a sweeping destruction that lasted 30 years. This reform is not only essential for Egypt’s salvation, but also to salvage Islam from the filth of Wahhabism, to stop the bloodletting in Syria and Iraq, to prevent more bloodbaths in the lands of Arabs and Muslims. Nothing will eradicate Wahhabism and its filth and nothing will eradicate Saudi rule, the axis of evil except driven reform starting in Egypt, by wide opening the gates of religious and intellectual freedom. Wahhabism requires and needs a rule and set of laws design especially for its protection against criticism and questioning. Therefore, all those laws that stifle, restrict and hinder freedom of thought must be annulled and voided, furthermore, this freedom of thought should be made available to all, including Wahhabis themselves, and the triumphant is the one with the strongest argument, not the ruler with the swordsman behind him. 7-I besiege the Creator of heavens and earth to protect Egypt from all harms.